Agree.com is is the simple solution for Contracts & Payments. 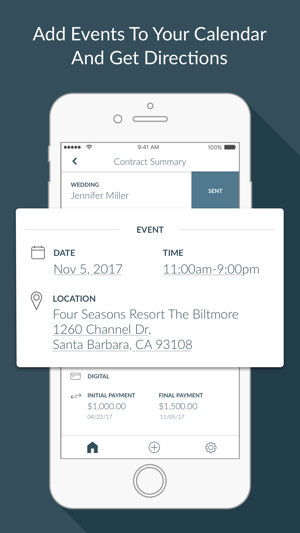 Once your've sent contracts to your clients, you can use the mobile app to track where they are every step of the way. We'll tell you when your contracts are viewed, signed, and paid. 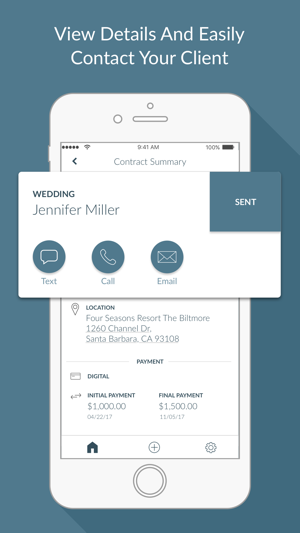 You can also view all your sent contracts and their info right from your dashboard. 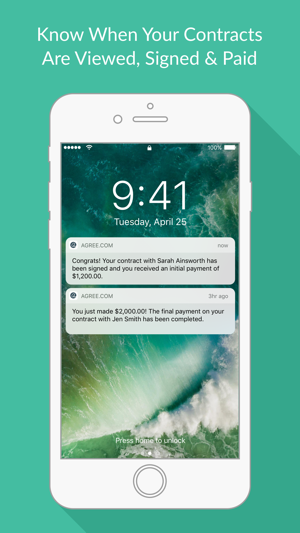 Agree.com is revolutionizing the way contracts are made. 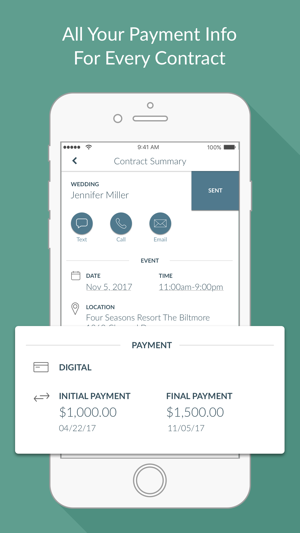 Photographers, event planners, designers, and all kinds of contractors and small business are using Agree.com to create contracts and accept digital payments from their clients. Agree.com takes care of all the transactional details between you and your clients so you can focus on cultivating healthy relationships with them, and delivering the best service you can, no matter what it may be. Not only have I enjoyed using agree, but my clients have too! I’ve heard countless feedback from them and they always say how easy, convenient, and fun it was to sign right from their smart phone or tablet. It’s incredibly convenient, professional and easily make customizable contracts. I would definitely recommends agree to any and all freelancers and small business owners out there. 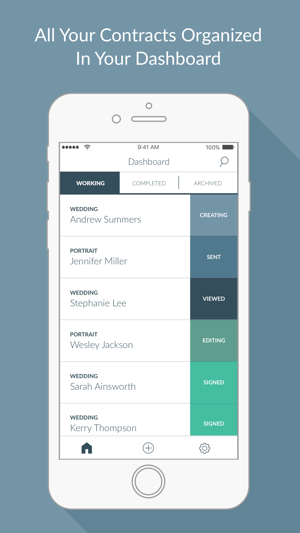 Not only is it fun to use for yourself, but your clients will appreciate it as well. This simplifies the lives of photographers. You can send out a contract in just minutes. And having less paperwork is always a plus. It's great to have all the info at my fingertips as well. I love the options for a free membership when I'm only shooting a few weddings. The main reason I got the app was so I could see my contract details on the go. 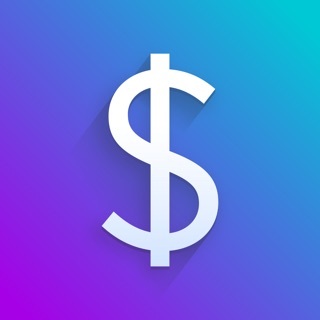 inly.io - Beautiful Invoicing, Get Paid Quick!